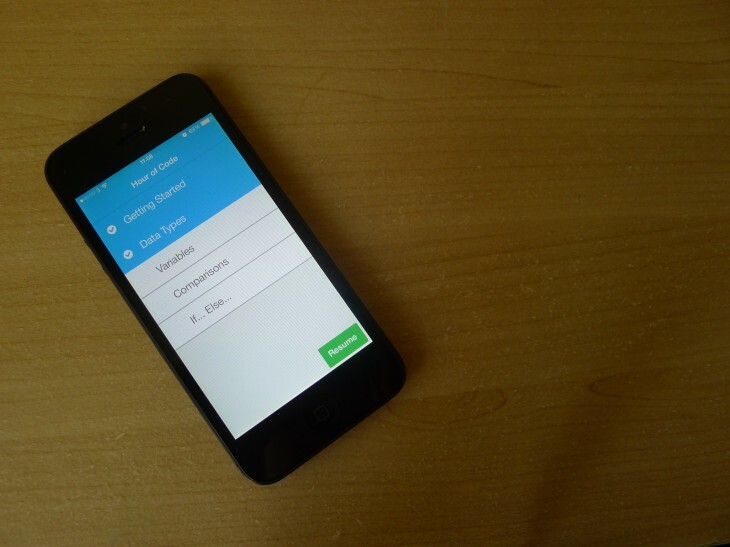 Well, that’s no longer a problem with Codecademy: Hour of Code, the startup’s first iPhone app. Whether you’re waiting for the train or queuing in your local greengrocer, now you can learn to code absolutely anywhere. Codecademy is launching the app today to coincide with the ‘Hour of Code‘ campaign set up by Code.org. As part of Computer Science Education Week (December 9–15, 2013) the non-profit organization wants 10 million students in the US to spend at least 60 minutes learning how to code. As such, the How to Code app by Codecademy targets total newcomers to computer programming. Its relatively short repertoire covers the absolute basics, such as how programs are written and a few examples of what can be achieved with just a few lines of code. 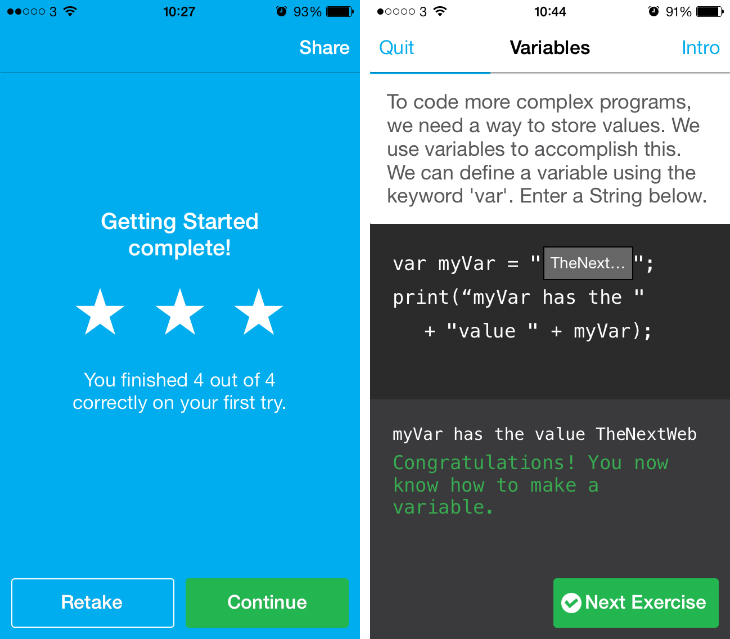 Similar to Codecademy on the Web, the iPhone app also has a few gamification elements, awarding you stars based on the number of questions you answer correctly on your first try. There’s also the option to post your results on Twitter, which should help to raise awareness about the iPhone app and the larger How to Code campaign. 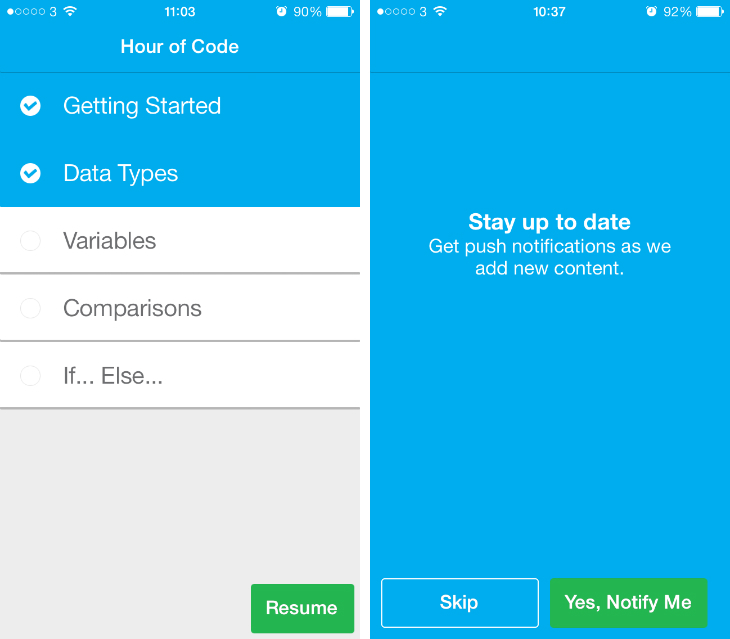 Notably, Codecademy will also ask whether you would like to be notified of new content via push notifications. Its inclusion suggests that the startup will be adding new lessons and languages to the iPhone app, perhaps expanding its appeal to existing and more advanced Codecademy users. We should embrace any efforts to introduce computer science to new people. 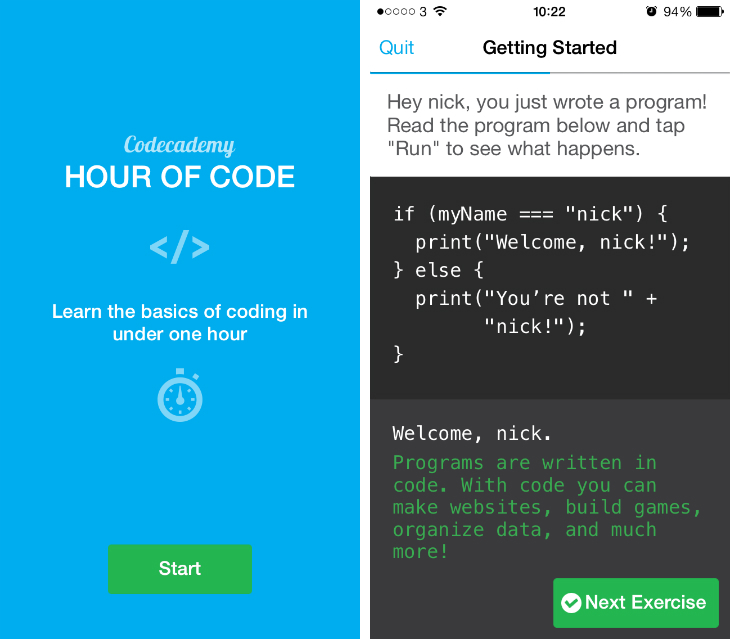 Codecademy is an invaluable partner to have on-board with the Hour of Code campaign and their first attempt an iPhone app is glorious. It’s child-friendly, interactive and most importantly, heaps of fun. The app is free too, so if you’ve never delved into coding before theres’s no excuse not to give this a try. It’s only an hour of your free time, after all.